Ideal for cyclists, walkers, bird watchers. Former Coach House B&B. Killagorden Cottage was formerly a Coach House. Set approx 1 mile from Truro in the beautiful Idless Valley standing in 9 acres of mature wooded grounds & gardens, teaming with birds & wildlife and including natural ponds and streams. 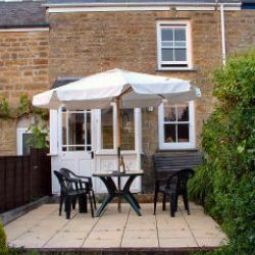 The cottage provides comfortable B&B accommodation comprising of 3 single, 2 double and 1 twin room all with tea/coffee making facilities & alarm clock. There is a modern shower / bathroom and guests have the sole use of their own sitting room with TV and wood burner. Fully central heated we are open all year including New Year and Christmas.